It was a routine play that any volleyball player would have tried to make, but when Kevin Donohue dove for a shanked ball against USC two years ago, he hit the ground awkwardly and came out of the play with a dislocated shoulder, a torn labrum and a partially torn rotator cuff. Donohue was a redshirt sophomore at the time, just starting to earn consistent playing time in successive matches when all of a sudden, his season ended on one bad dive. Many other players would have had a negative attitude about the injury, but the economics and accounting major Donohue saw it as another obstacle to climb in order to become a better volleyball player. And now, as a co-captain in his senior season, he hopes to lead the Gauchos to a national championship. The injury wasn’t Donohue’s first obstacle he had to overcome in order to become the player he is today. As a 6’3” outside hitter/opposite, he is consistently one of the shortest players on the court. In high school, Donohue was the star player of a Mira Costa High School volleyball team that won four Bay League Championships, as well as a CIF championship in 2008 and a California State championship in 2010; however, even with all of the success, it didn’t look like Donohue was going to have the opportunity to play volleyball in college until the summer after his senior year. It was during his club team’s run to a gold medal at the Junior Olympics his senior year that UCSB Head Coach Rick McLaughlin offered Donohue a walk on spot on the NCAA team only two months before enrolling in the school. Donohue was overcome with excitement and he knew that the opportunity was not one he would take for granted. Sitting on the bench as a redshirt his first year of college, Donohue had the opportunity to watch the UCSB men’s volleyball team go on a historic run to the national championship game. Though the season ended in heartbreak, Donohue learned so much from the older players. He has been passing down this wisdom to younger players ever since. In his freshman season, Donohue garnered limited playing time, and it was in his sophomore season that he started becoming a force on the court after learning how to play as an outside hitter and having to pass on every serve receive. But in one play, the success and playing time vanished. With a dislocated shoulder, a torn labrum, and a partially torn rotator cuff, Donohue’s shoulder was basically useless right after the injury. He missed the remainder of his sophomore season and worked throughout the summer and fall in order to get back on the team his junior year. It was a frustrating time for Donohue, however, as he would go in waves of his arm feeling good and not being able to swing at all. This should not have surprised anyone as it was less than a year since the surgery, but Donohue wanted to be back on the court so badly and he did all he could to do so. In the end, he ended up spending most of the season watching from the sidelines, feeling the pain of losing to BYU in the MPSF Semifinals and wishing he could have been on the court making a difference. After not being one hundred percent healthy for his junior year, Donohue made it a priority to give his shoulder time to rest so he could make the most of his last season playing the sport he loves. He went an excruciatingly long summer without picking up a volleyball, instead strengthening his legs while working with trainers consistently to monitor his shoulder. Now back at full strength, Donohue has surprised himself with leading the Gauchos in kills per set at 3.75. The Gauchos are currently 14–8 this season with eyes focused on a league championship, followed by a national title. Donohue has battled adversity throughout his volleyball career and he hopes to end it holding a trophy above his two healthy shoulders. 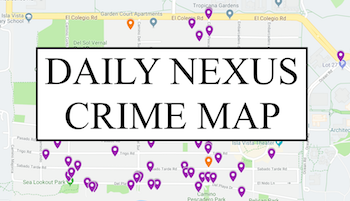 A version of this article appeared on page 15 of April 2, 2015’s print edition of the Daily Nexus. 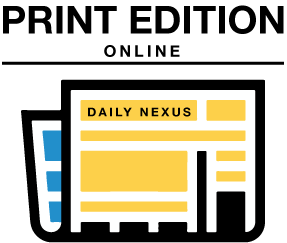 Soooooo does the daily nexus just have no editing at all? The grammatical errors (and general writing style) in this piece made my eyes bleed.